Did you catch that? 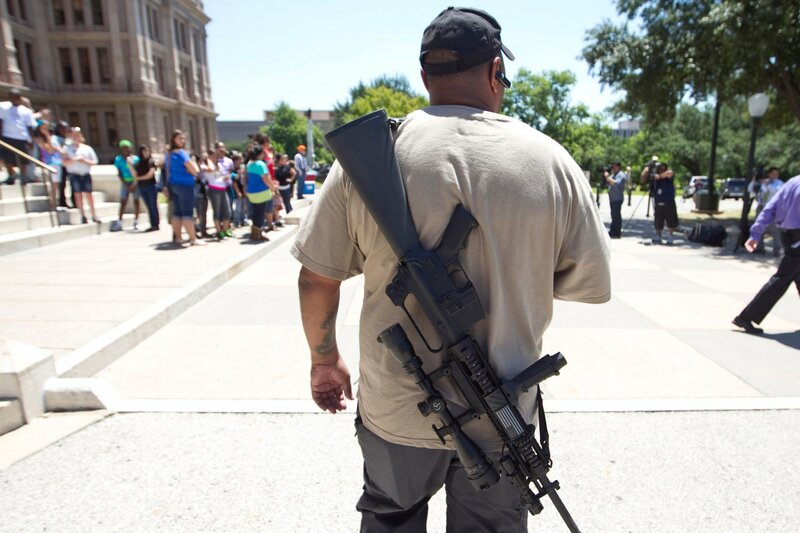 He framed openly carrying assault weapons as “exercising one’s 2nd Amendment rights.” What’s wrong with that? I’m not going to argue the wording of the 2nd Amendment here, or debate what it means in contemporary society. Maybe the framers of the Constitution did intend for everyone to own a gun, or walk around in public strapped up with assault weapons that can pump out dozens of bullets in a few seconds. I doubt that. Personally, I imagine that, given the Emancipation Proclamation [which made slave militias irrelevant] and the power of today’s guns, the guys who wrote the 2nd Amendment might reconsider the whole idea. But don’t tell that to the NRA. Of course, this parroting of NRA talking points came from a network that not only features Joe Scarborough, but has more recently engaged radically right-wing radio host Hugh Hewitt as one of its news “analysts.” So I guess I shouldn’t be so surprised. Previous Post:Do we really need babysitters for Barettas?